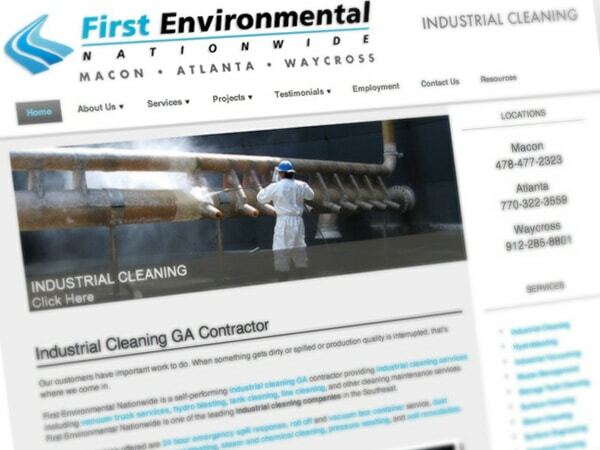 First Environmental Nationwide is an industrial cleaning contractor providing vacuum truck services, hydro blasting, tank cleaning, line cleaning, and other cleaning maintenance services. We developed and designed the website. We currently maintain and update all information and manage their current search engine marketing. Learn more about this Georgia based industrial cleaning contractor that specializes in in-plant cleaning.